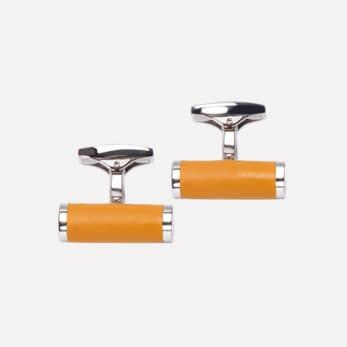 Cylindrical metal round cufflinks with leather sheath. 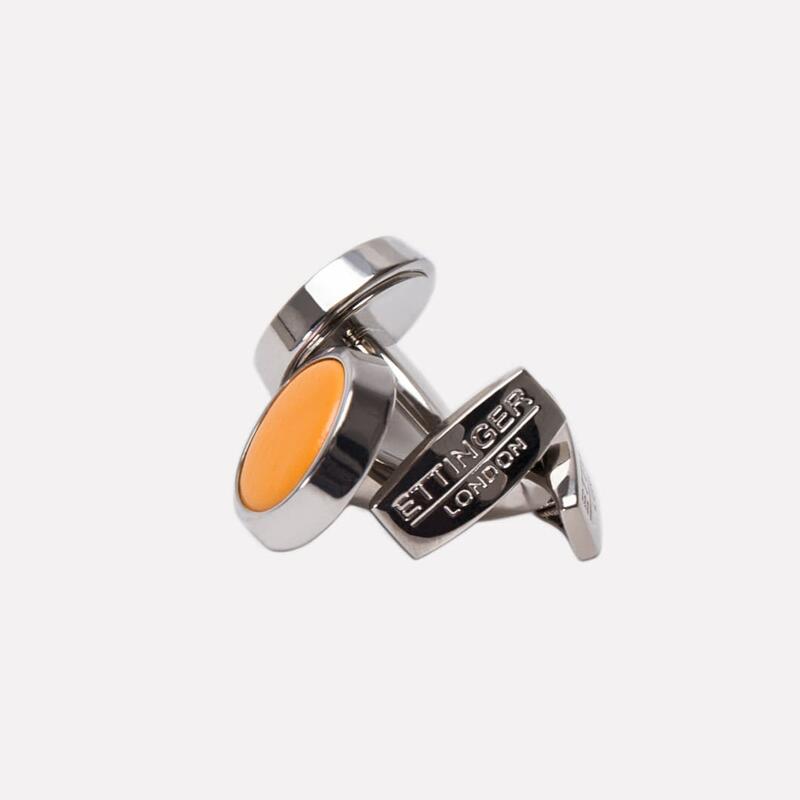 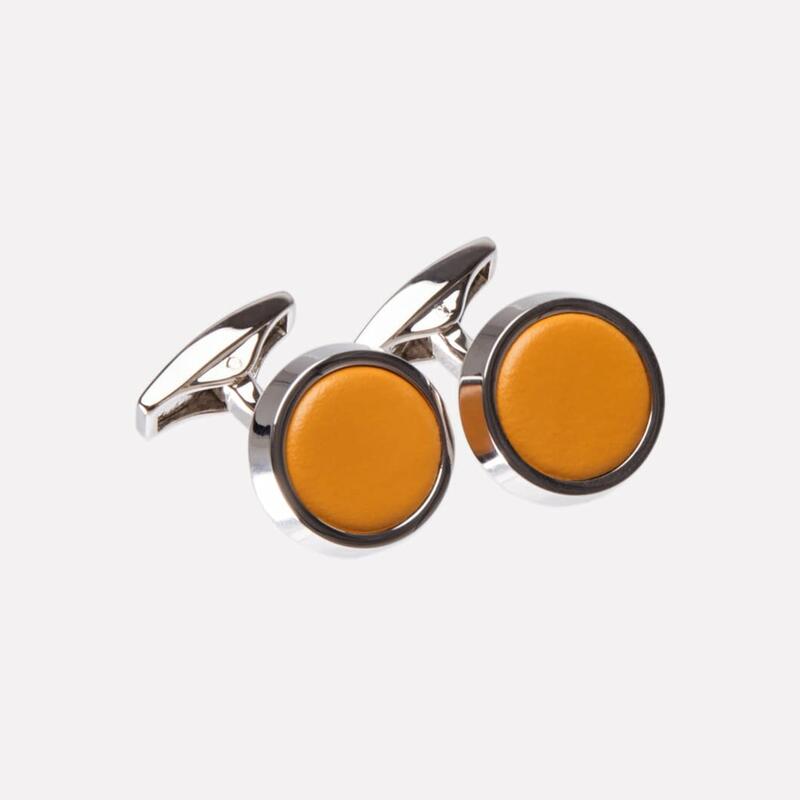 The brass cufflinks have pure palladium plating; a material that is stronger than gold, a hypoallergenic metal that is naturally bright white, won’t tarnish and 95% pure. 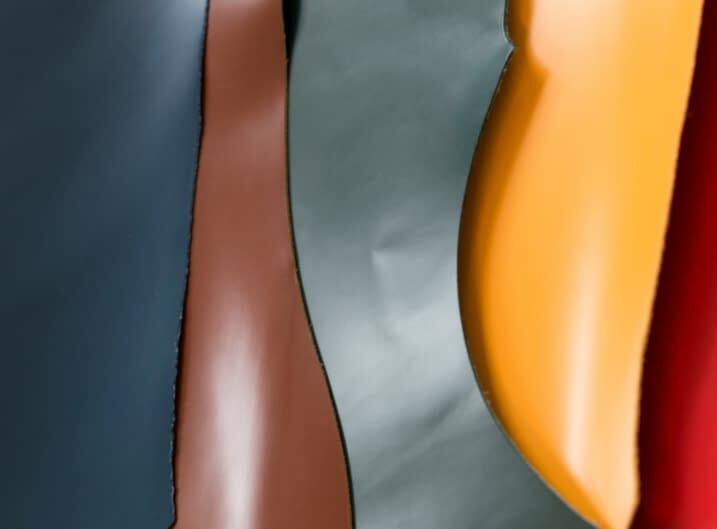 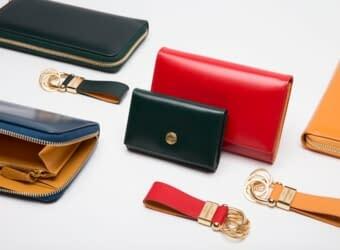 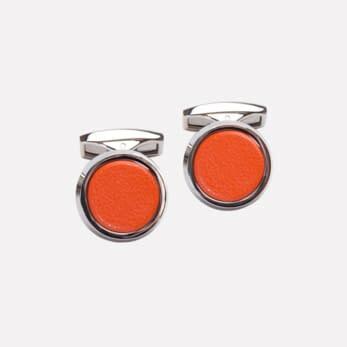 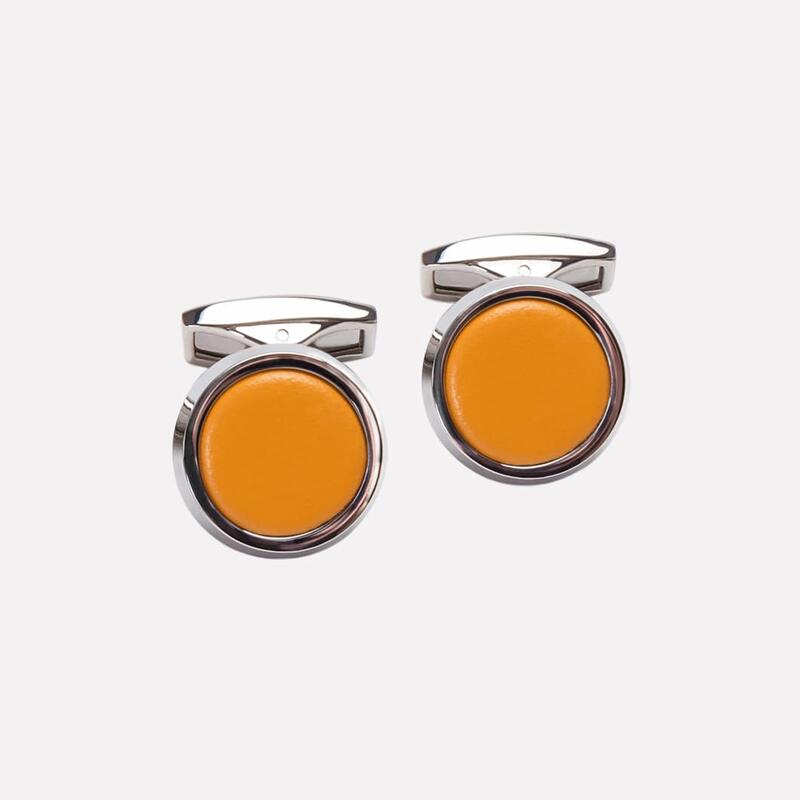 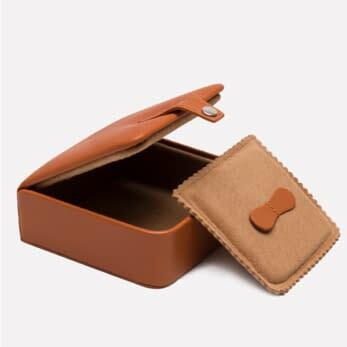 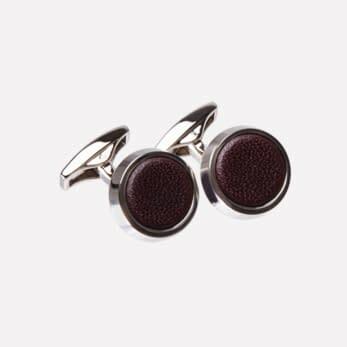 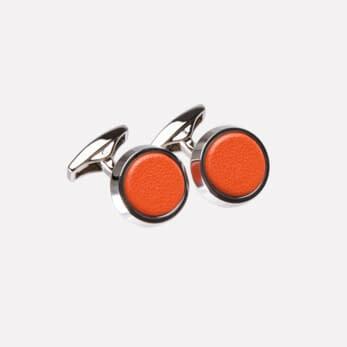 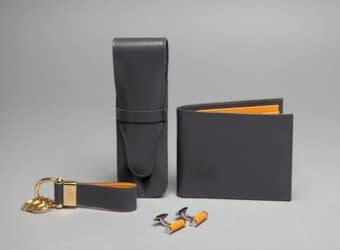 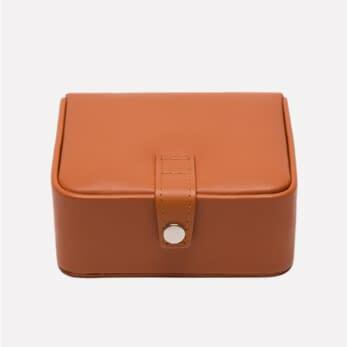 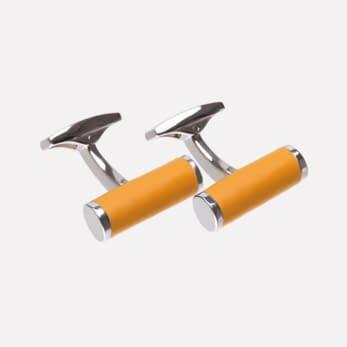 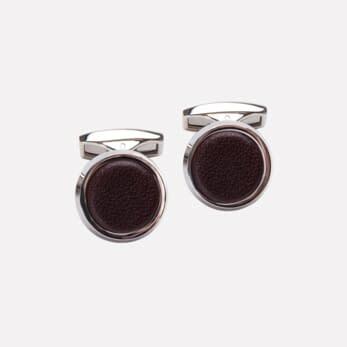 These cufflinks are from the Bridle Hide Collection, using our own special Bridle leather.